With only a few weeks remaining before students head back to school, Gov. Eric J. Holcomb today provided parents, educators and communities an update on Indiana’s school safety efforts and announced a new program that will make handheld metal detectors available at no cost to schools that want them. Beginning today, the Indiana State Police and Department of Administration (IDOA) will coordinate the handheld metal detector program. This new program will make one handheld metal detector device available for every 250 students in traditional public, charter and accredited non-public schools by request. Schools can submit requests at www.in.gov/idoa/3134.htm. IDOA will place the first orders for the metal detector devices on July 19 for delivery by mid-August. Orders placed after that date will be fulfilled later in the fall. This program is just one of several actions the state has taken in the last year, building on the state’s existing policies and practices to improve school safety. Made $35 million in low-interest loans available to schools to increase school safety through the Indiana Common School Fund.Applications may be found on the Indiana Department of Homeland Security website atwww.in.gov/dhs/securedschoolsafety/commonschoolfund.htm. In June, IDHS received 390 applications from school corporations for school safety grants. Because of the additional $5 million allocated by the General Assembly during this legislative session, all schools that met grant requirements were approved and will be funded. Those funds, more than $14 million in total, will be put to use for school resource officers, safety equipment and threat assessments. Learn more about the grants at www.in.gov/dhs/securedschoolsafety.htm. Indiana already has many school safety policies in place. By law, every Indiana school is required to have a school safety plan and every school corporation must have a school safety specialist. academy is funded through the Safe Haven Grant, which also provides matching grants for prevention programs and school resource officers. Indiana is just one of five states with a “red flag” law, which allows police officers to confiscate firearms from individuals suspected to be dangerous to themselves or others. Additionally, Indiana State Police offer school officials active shooter training as well as assistance in developing their school security plans, and IDHS provides guidelines for school emergency response systems. Gov. 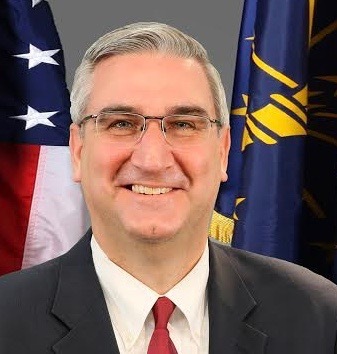 Holcomb convened a school safety taskforce in April to develop recommendations for action in advance of the 2019 legislative session. Those recommendations are due in August.